Regular readers of Rhino’s Horror should be very familiar with artist Laz Marquez as his amazing work has been featured on here plenty of times. 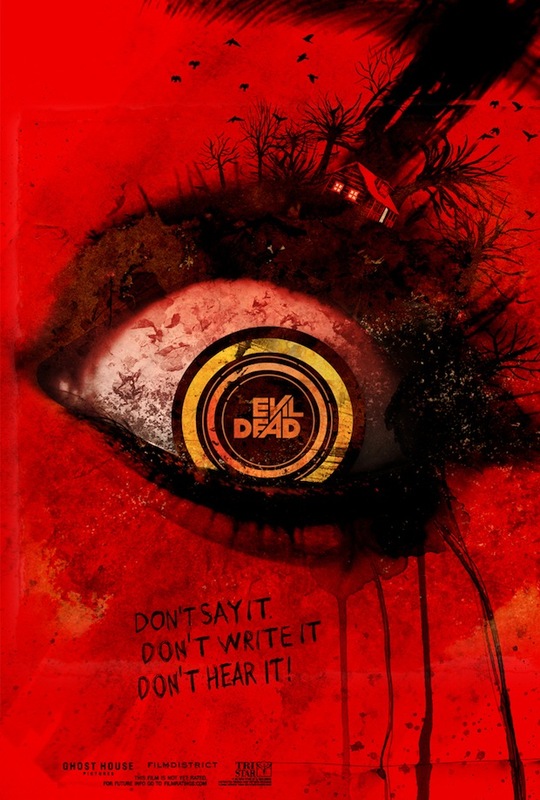 We’ve seen a lot of great Evil Dead posters popping up all over the internet so it was only a matter of time before Marquez took his artistic vision and went to work on a poster for the upcoming Fede Alvarez directed remake — and how happy we are that he did because it’s simply striking. Be sure to check out his gallery in the Art of Horror where he joins many other amazing artists — just make sure you leave the lights on! Absolutely gorgeous. Glad you dig it man! Yea man there are so many good ones but this is probably my favorite. So wicked! His art really rules. I’m glad you share his work with us. Thanks!